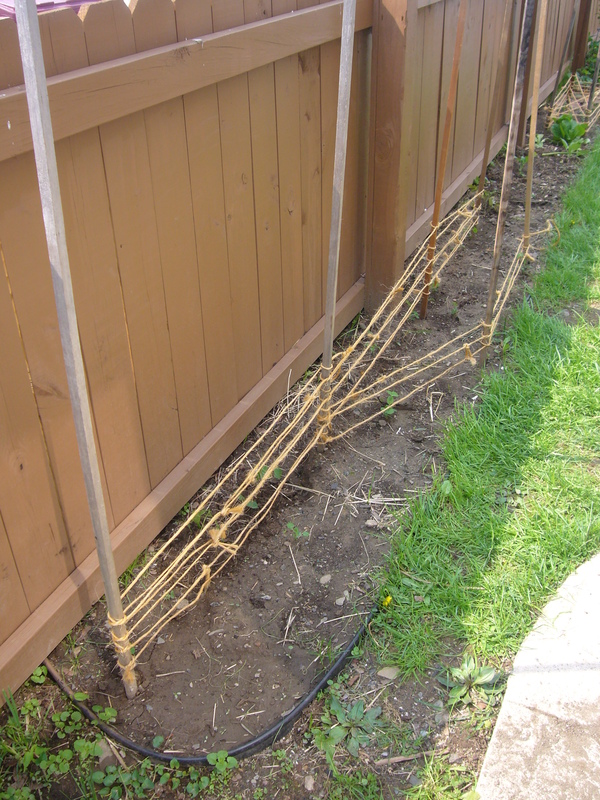 It was such a beautiful day outside that I decided to get my trellises up for our peas. 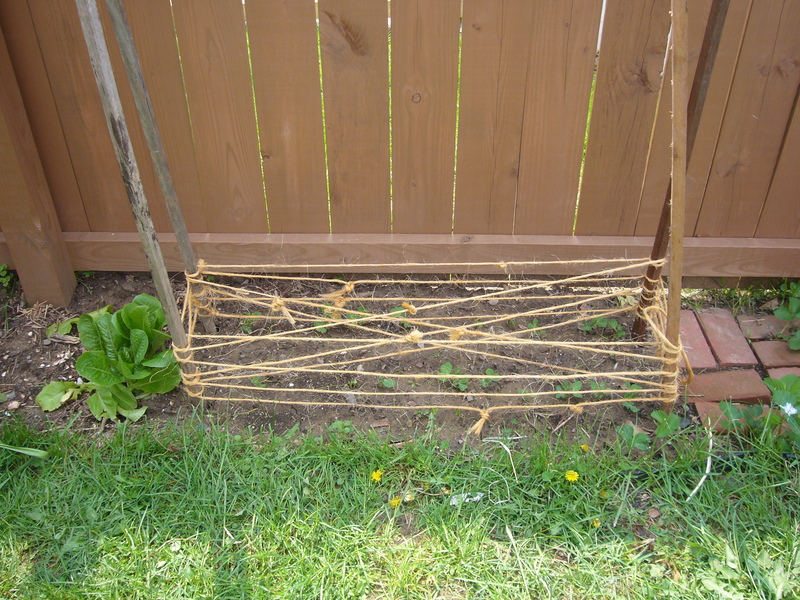 Thanks to Dean's parents for the twine. It's what they cut off of their horses hay. 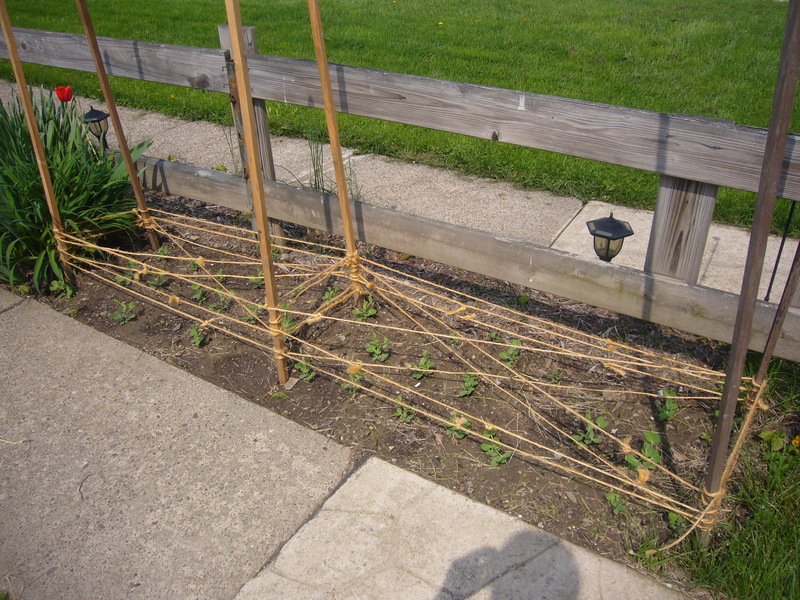 The peas growing in this picture are Wando. This is where the Dark Seeded Early Perfection peas were planted. I was planning on comparing the two types of peas, but when the guy was putting the gutters on he stepped in this dirt a lot. This is also where my black beans will be planted.